Appleton wool comes from England and is produced by Appleton Bros. Ltd. 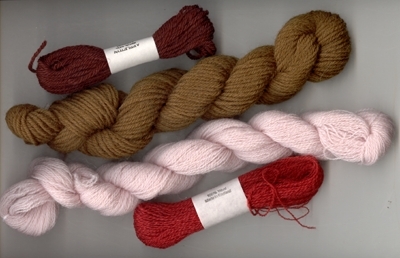 This wool has a long history that includes being used by the famous 19th century designer William Morris. There are 421 colors in both tapestry and crewel wool. There are approximately 6 skeins to a hank. Click here to view the Appleton color card.